So you're a new mom, or a seasoned one, about to book a family photo session. You may wonder if your kiddos are old enough to handle a shoot, and what kind of chaos is about to ensue with coaxing them to smile and interact with a stranger with a really alluring and expensive toy that they can't touch. Don't be afraid. 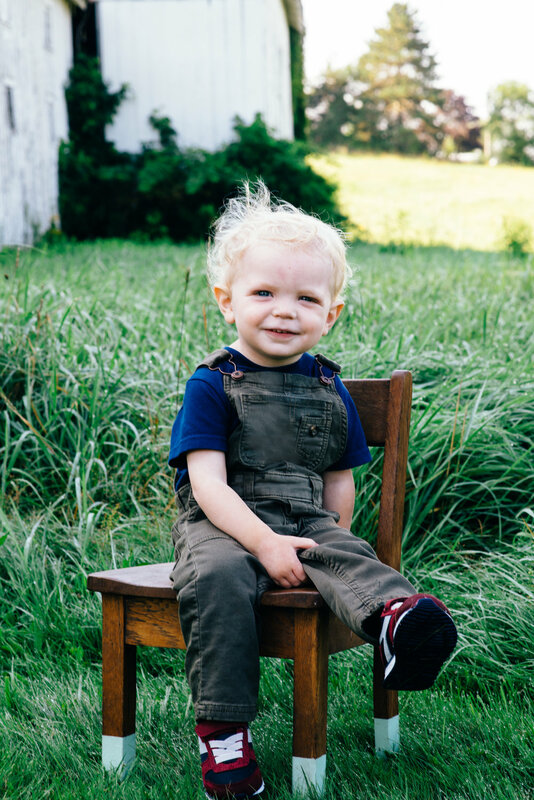 When you do your homework and book with a photographer that is experienced with family portraits, they will be able to handle any tantrum, snotty nose, or case of the zoomies your little darlings bring to the party. But, there are different types of photographers you want to contact based on the age of your youngest. If those squishy, dreamy, gauze-wrapped and basket-y photos are what you're after, hire a photographer that markets his or herself as a newborn photographer. There are many special elements that go into newborn photography that are different from regular family photography. Newborn photographers tend to have a studio, lots of props to get those Anne-Geddes like shots, ways to keep the baby warm, ways to prop them up safely, and hours of time blocked off to go at baby's pace between diapers and milk. I have been blessed to do some newborn sessions over the years, and I still love to offer them to friends and family as a special gift, but newborns are definitely not my specialty. I would be happy to point you to some amazing newborn photographers if you want to message me! This is where I greet you with arms wide open. Got a 1 year old? Call me! I love little kids. If your kiddo is standing with support, most photographers that advertise as "family photographers" will be just fine with a tiny human of this age. I offer some cool kiddo-sized chairs and even a fabulous gold sparkly "1", and if you say the words "smash cake" I will undoubtedly squeal with delight. If you're booking a shoot, most of the times photographers will have these props, posing ideas, and a plethora of tricks to make your littles smile. Just bring some snacks, maybe an extra outfit (but I'm good at Photoshopping out drool so whatev! ), and a whole lotta patience! The best part of my job, hands down, is the friendships I get to make with my clients. I've had over a half a dozen couples that trusted me with every shoot from engagement to wedding to maternity to newborn to family photos every year. This is it. This is the big why. I hope that I can be your photographer that grows with your family, and helps you create heirlooms and memories that are more precious than you may realize until those little ones aren't so little anymore. I hope you enjoy my latest family session with two of those long-time friends and their little boys that are just too adorable for words!